Off message-ish but former London UNISON Labour Link comrade Rae Voller is trying to raise money for "Cardiac Risk in the Young (CRY)". Rae is a nurse who now works in Merseyside. She will be climbing Mount Kilimanjaro in September in support of CRY and raising money via "Just Giving" for this event. 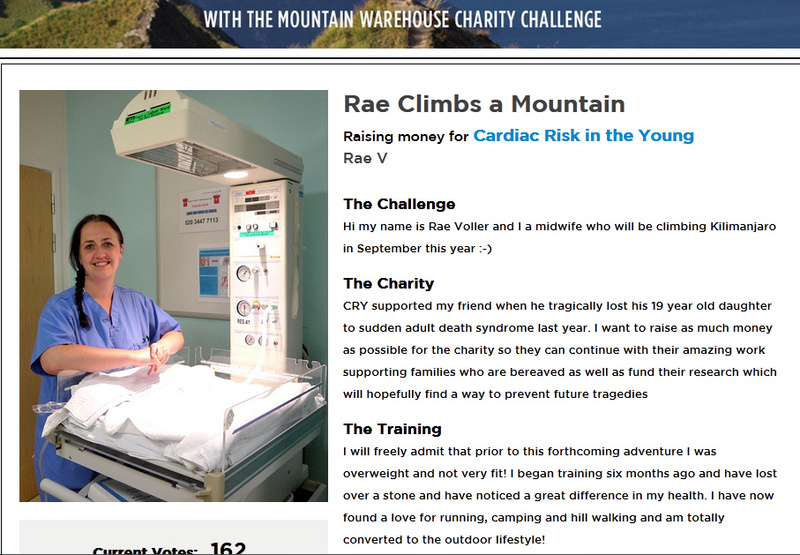 Mountain Warehouse in conjunction with "Just Giving" are running a competition to give an additional £5000 to a chosen charity based on the number of votes received by participants. 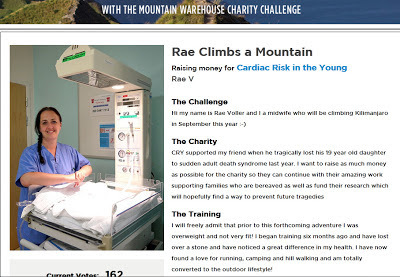 To vote for her cause simply go to http://www.mountainwarehouse.com/charity/entries/rae-climbs-a-mountain-e353.aspx and follow the simple instructions. Share the links below and encourage others to vote. Also donate via Just Giving!